1. 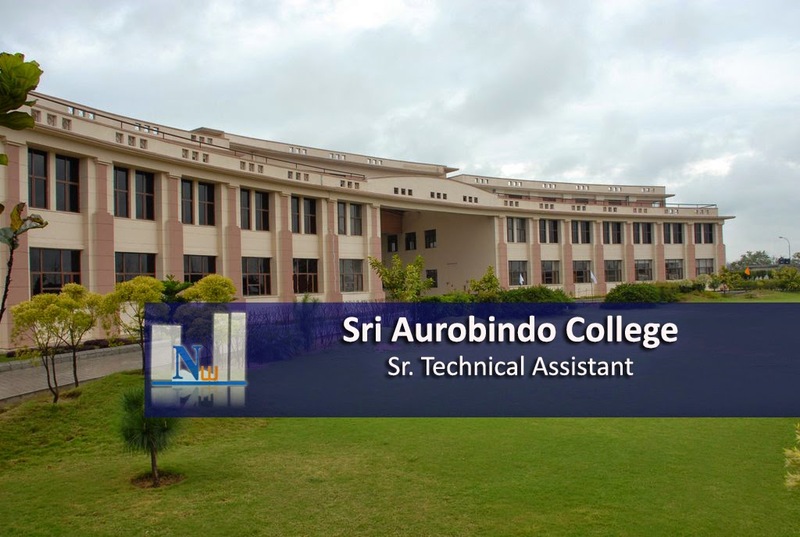 A Graduate from a recognized University in any discipline with working knowledge of computer, and Diploma/ Certificate of minimum 6 months duration in Computer Application/ Office Management/ Secretarial Practice/ Financial Management/ Accounts or equivalent discipline. Application duly complete in all respects along with must reach the college on prescribed application form within 21 days after publication of Advertisement in a cover super scribed “Application for the post of ____ (name of the post applied for). The application should be addressed to The Principal, Sri Aurobindo College (Evening), (University of Delhi), Malviya Nagar, New Delhi-110017 latest by 12.12.2014.